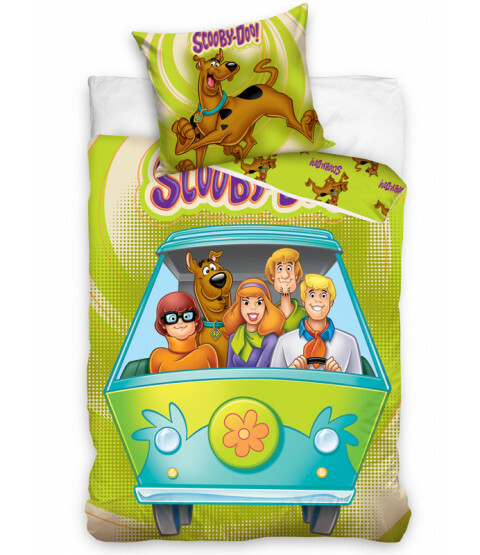 This official Scooby Doo single duvet cover set is a must for any fans of Scooby and the Mystery Incorporated gang! 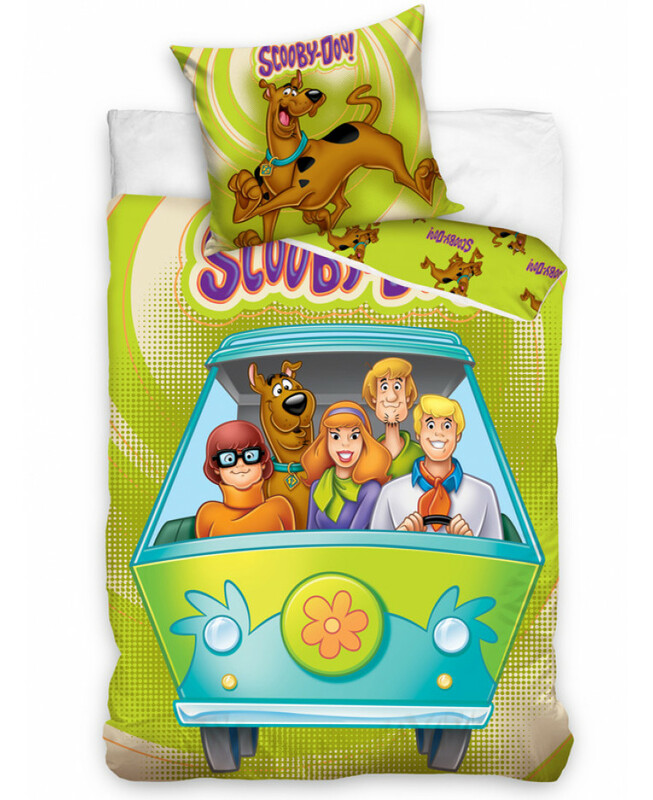 The design features a great image of Scooby, Shaggy, Daphne, Velma and Fred driving in the Mystery Machine on a green background, with smaller Scoobys in a repeat pattern on the reverse. This bedding set is made from 100% cotton and is machine washable.